First was Morocco; now we're feeling a little French in shades that range from a sweet, pale sugar pink to a delicious deep cabernet. Allons-y! 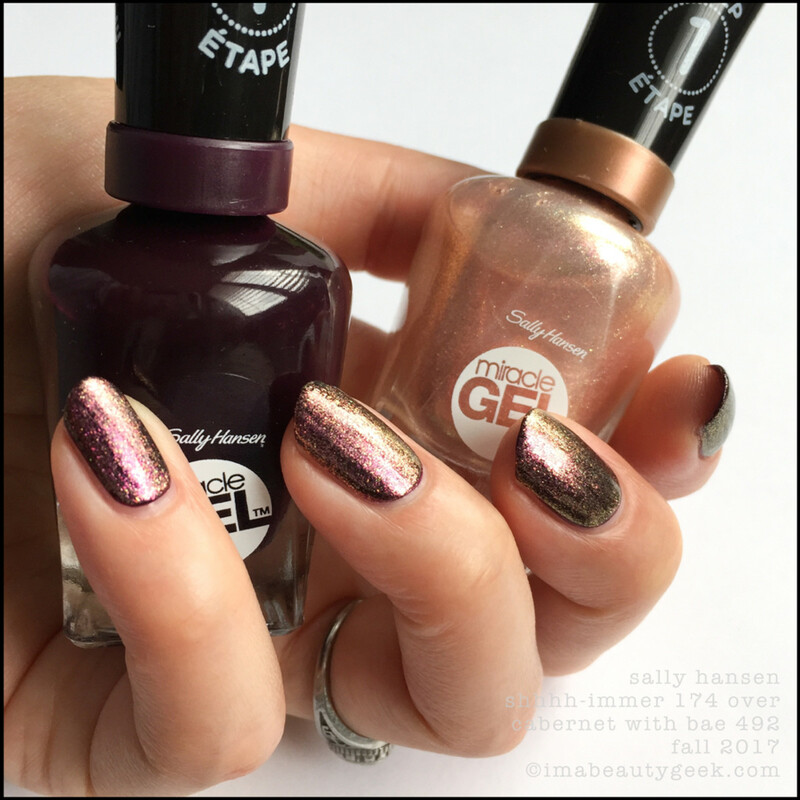 Aaaaaand we’re back with the other instalment of the two Sally Hansen Fall 2017 collections! Did I mention we’re discovering the world with these? We are. We’ve left Morocco and are heading to France for the French Romance collection. 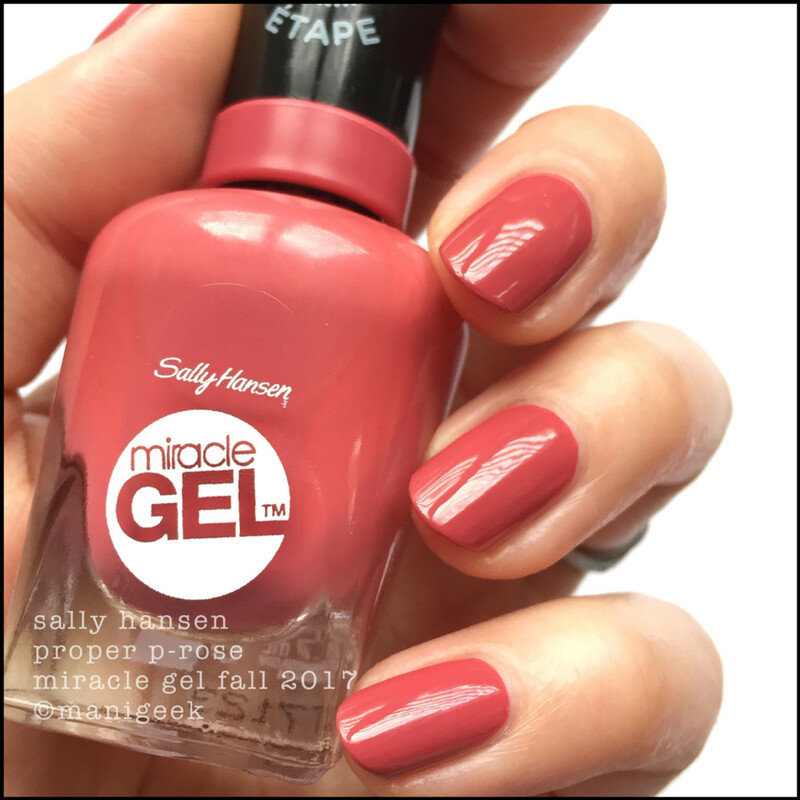 Sally Hansen In The Sheer – Miracle Gel Fall 2017 (above). It’s a dreamy pink that was probably supposed to be sheer but in one coat it was terribly streaky so I added another. And then another. I ended up at 3 coats and in 3, it’s perfectly soft and almost squishy looking. Not particularly sheer but intensely feminine and pretty. Sally Hansen Love Me Lilac – Miracle Gel Fall 2017 (above). Ooooh. I loves! Hugely taupey and minimally lilac, it’s one of those shades that I think makes a perfect neutral for many of us. Oh, that’s 2 coats to opaque. Sally Hansen Love Me Lilac w Color Club Femme Fatale (above). I know, right? This pinky-red shimmer pigment is making the rounds these days. This Color Club sits on my desk all the time and it works over so many things it’ll shock you. 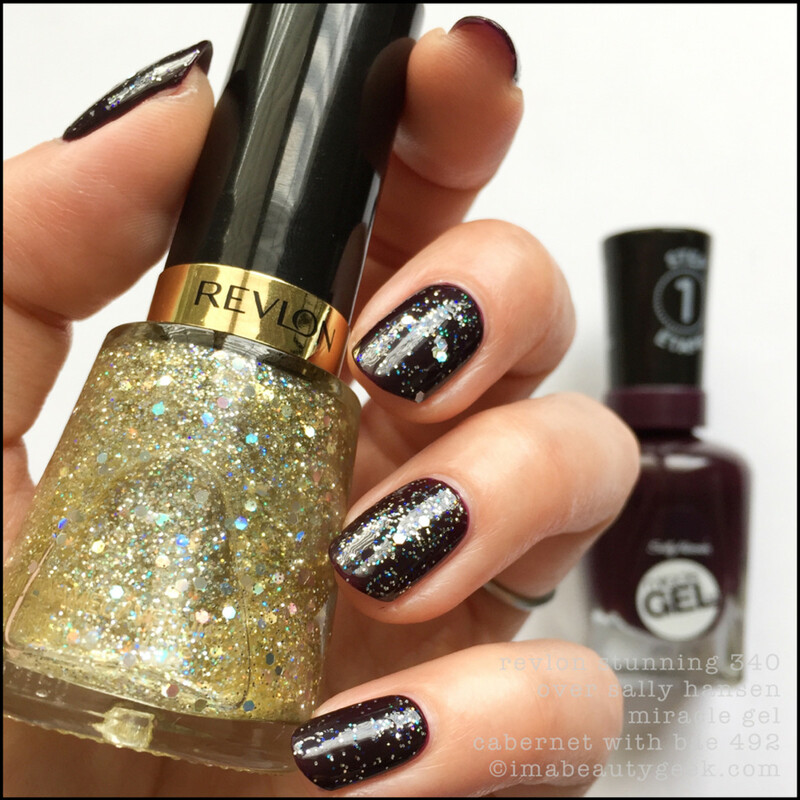 Look at the level of awesome one coat of Femme Fatale adds to a simple neutral! Now it’s a simply amazing neutral! Wheeee!!! 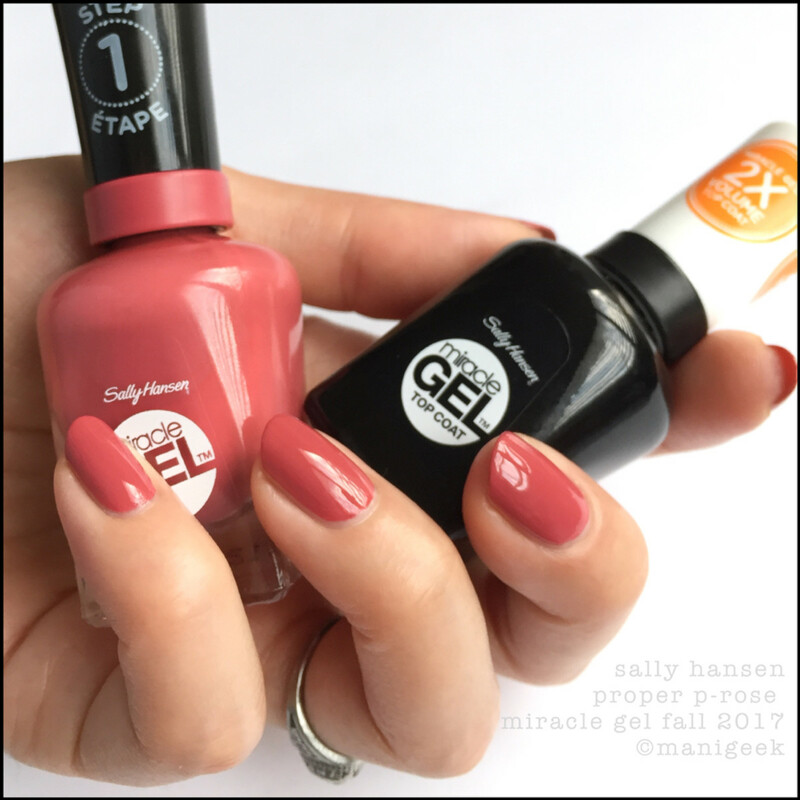 Sally Hansen Proper P-rose – Miracle Gel Fall 2017 (above). Man, I dunno about rose but I do know this is a great shade for fall. It’s got that certain dustiness that makes it go with all your Autumn sweaters ‘n jeans. That’s 2 coats to opaque and mostly level. Add your top coat and it’ll get to even and perfect. Sally Hansen Proper P-rose w Miracle Gel Top Coat (above). See? Perfect! 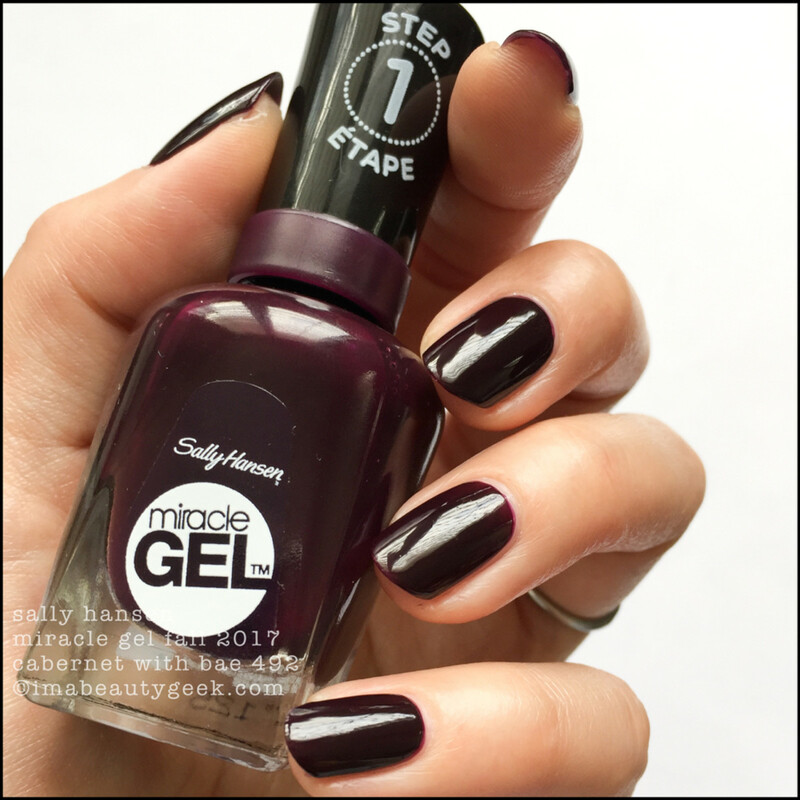 Sally Hansen Cabernet with Bae – Miracle Gel Fall 2017 (above). Unhhh! Yes, I’ve seen this shade done a jillion times by a jillion companies but if you don’t have one like this, I tell ya what, this one is great! Ugly as all-get-out on the first coat, don’t fret; it all comes together on the second coat. I mean lookit it! My digits look like money! And there’s no top on there. Lookit the shine! Sally Hansen Shhhh-immer over Cabernet with Bae (above). And the final shade of the 5 is Shhhh-immer. I tried it alone and it came out not-so-great. It’s that shiftly flecky thing in a hugely transparent base and it takes many, many coats to get to opaque. At 3 coats (with visible nail lines), I just gave up and decided to use it as a top coat instead. It’s gorgeous over my Cabernet! Do it! Do it! Sally Hansen Cabernet with Bae w Revlon Stunning (above). I love Cabernet with Bae so much I used it twice – in a row. Yep, I did. It’s an excellent base for glittery things! So that’s it, fellow nail nerds! That’s our Fall 2017 Sally Hansen travels. 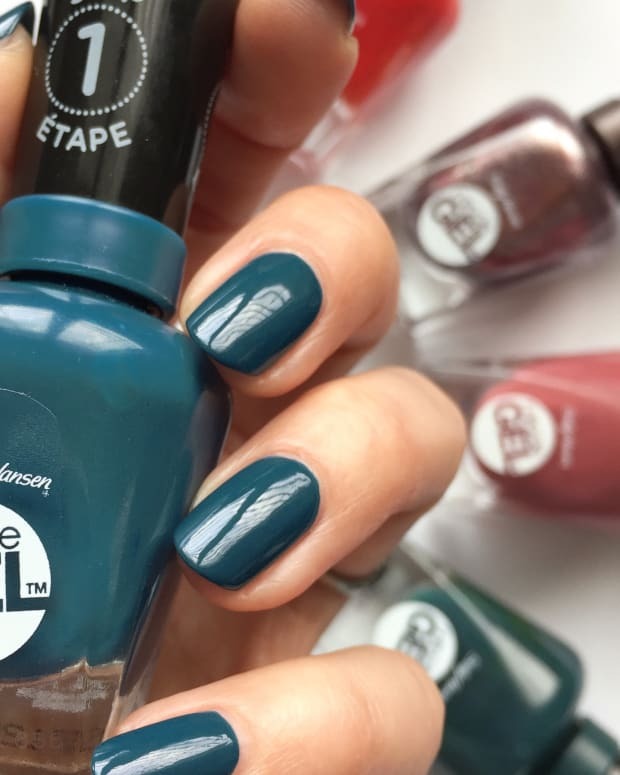 If you missed the first collection, it’s here: Sally Hansen Run Wild in Morocco. Both collections should be widely available in Canada now. Anything grab you? Huh? Manicures & photos Karen Falcon (she’s waiting for a donut delivery).